Nick Jonas’ brother Joe Jonas and his partner Sophie Turner made a grand appearance at the American singer’s reception at The Taj Palace Hotel in New Delhi on December 4. 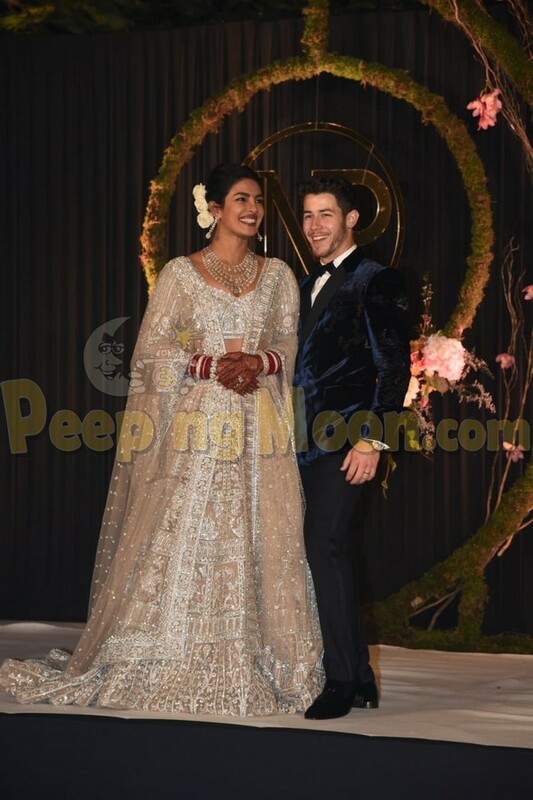 Nick married Priyanka Chopra in a two-part wedding ceremony at the Umaid Bhawan Palace in Jodhpur – on December 1 in a Christian wedding and as per Hindu traditions on December 2. Sophie opted for a lehenga choli in a pastel shade and accesorised her look with a statement neckpiece and maang-teeka. Joe, on the other hand, was handsome in a suit. As for the newlyweds, Priyanka was resplendent in an embellished lehenga choli while we loved her diamond neckpiece and danglers. She wore sindoor and chooras and adorned her hair, tied in a bun, with flowers.